A polymer composition that contains at least one high performance polymer and at least one aromatic amide oligomer is provided. The oligomer can serve as a flow aid that lowers the overall viscosity of the polymer matrix under shear. The present application claims priority to U.S. Provisional Application Serial No. 61/767,929 (filed on February 22, 2013) and which is incorporated herein in its entirety by reference thereto. performance polymers with excellent melt flow properties. Furthermore it would also be advantageous to enhance the thermo-mechanical properties of the molded articles, through such a process by either mechanically reinforcing it or by allowing for easier melt processing to get better parts resulting in enhanced thermo- mechanical properties of the final product. 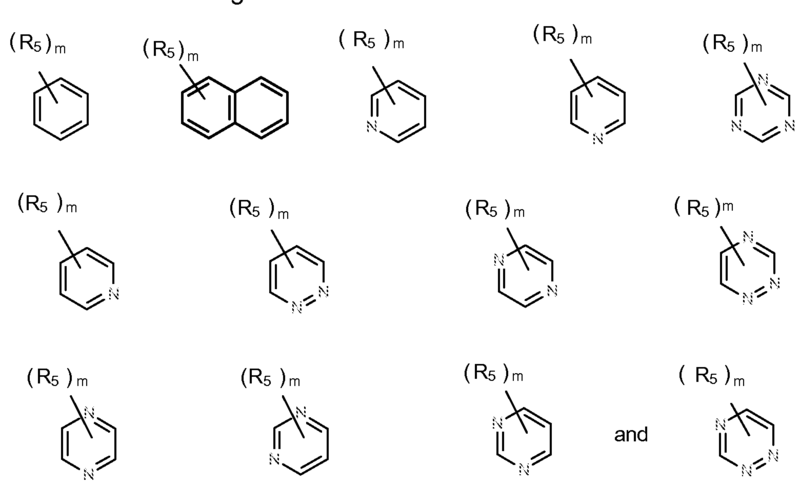 Ri and F¾ are independently selected from aryl, heteroaryl, cycloalkyl, and heterocyclyl. Other features and aspects of the present invention are set forth in greater detail below. It is to be understood that the terminology used herein is for the purpose of describing particular embodiments only and is not intended to limit the scope of the present invention. "Alkyl" refers to monovalent saturated aliphatic hydrocarbyl groups having from 1 to 10 carbon atoms and, in some embodiments, from 1 to 6 carbon atoms. "Cx-yalkyl" refers to alkyl groups having from x to y carbon atoms. This term includes, by way of example, linear and branched hydrocarbyl groups such as methyl (CH3), ethyl (CH3CH2), n-propyl (CH3CH2CH2), isopropyl ((CH3)2CH), n- butyl (CH3CH2CH2CH2), isobutyl ((CH3)2CHCH2), sec-butyl ((CH3)(CH3CH2)CH), t- butyl ((CH3)3C), n-pentyl (CH3CH2CH2CH2CH2), and neopentyl ((CH3)3CCH2). "Alkenyl" refers to a linear or branched hydrocarbyl group having from 2 to 10 carbon atoms and in some embodiments from 2 to 6 carbon atoms or 2 to 4 carbon atoms and having at least 1 site of vinyl unsaturation (>C=C<). For example, (Cx-Cy)alkenyl refers to alkenyl groups having from x to y carbon atoms and is meant to include for example, ethenyl, propenyl, 1 ,3-butadienyl, and so forth. "Alkynyl" refers to refers to a linear or branched monovalent hydrocarbon radical containing at least one triple bond. The term "alkynyl" may also include those hydrocarbyl groups having other types of bonds, such as a double bond and a triple bond. (fused) rings (e.g., naphthyl or anthryl). 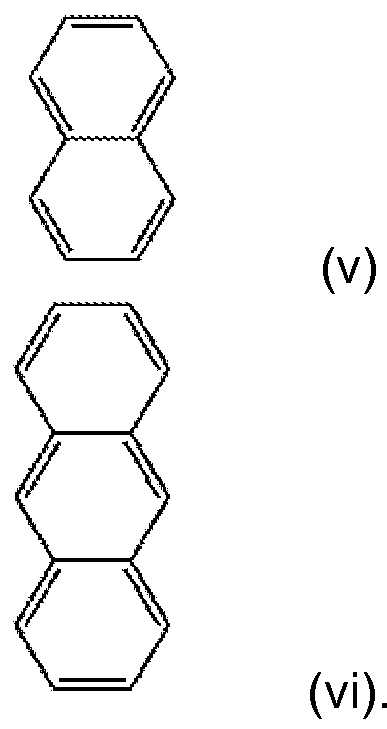 For multiple ring systems, including fused, bridged, and spiro ring systems having aromatic and non-aromatic rings that have no ring heteroatoms, the term "Aryl" applies when the point of attachment is at an aromatic carbon atom (e.g., 5,6,7,8 tetrahydronaphthalene-2-yl is an aryl group as its point of attachment is at the 2-position of the aromatic phenyl ring). "Cycloalkyl" refers to a saturated or partially saturated cyclic group of from 3 to 14 carbon atoms and no ring heteroatoms and having a single ring or multiple rings including fused, bridged, and spiro ring systems. 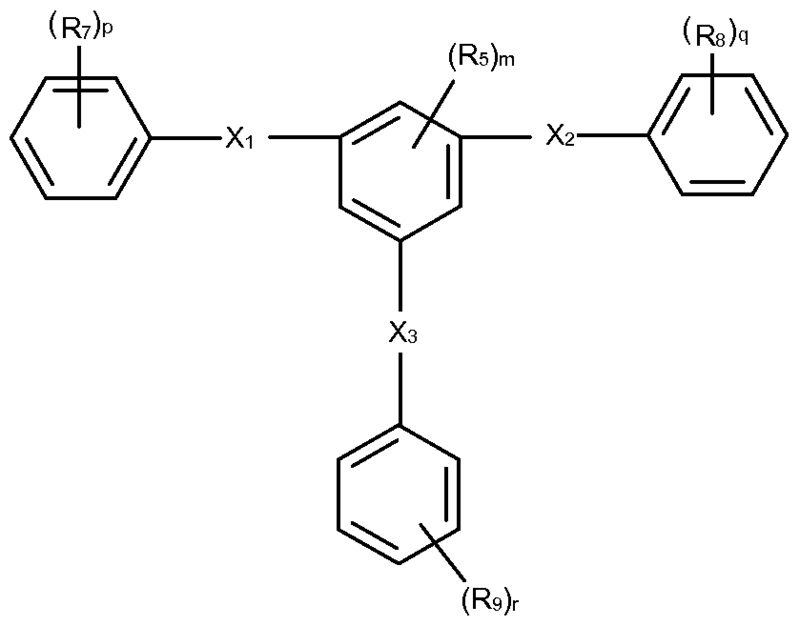 For multiple ring systems having aromatic and non-aromatic rings that have no ring heteroatoms, the term "cycloalkyl" applies when the point of attachment is at a non-aromatic carbon atom (e.g., 5,6,7,8,-tetrahydronaphthalene-5-yl). The term "cycloalkyl" includes cycloalkenyl groups, such as adamantyl, cyclopropyl, cyclobutyl, cyclopentyl, cyclooctyl, and cyclohexenyl. The term "cycloalkenyl" is sometimes employed to refer to a partially saturated cycloalkyl ring having at least one site of >C=C< ring unsaturation. "Halo" or "halogen" refers to fluoro, chloro, bromo, and iodo. "Haloalkyl" refers to substitution of alkyl groups with 1 to 5 or in some embodiments 1 to 3 halo groups. 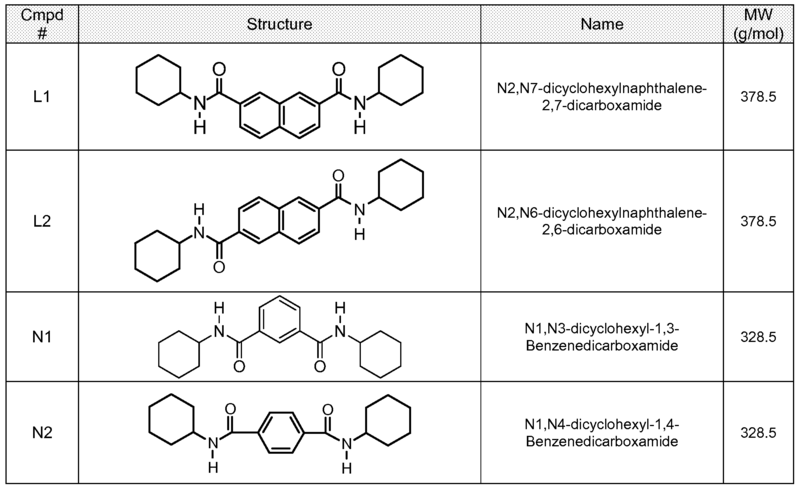 benzimidazolyl, benzisoxazolyl, benzothienyl, benzopyridazinyl, pteridinyl, carbazolyl, carbolinyl, phenanthridinyl, acridinyl, phenanthrolinyl, phenazinyl, phenoxazinyl, phenothiazinyl, and phthalimidyl. embodiments, the nitrogen and/or sulfur atom(s) of the heterocyclic group are optionally oxidized to provide for the N oxide, sulfinyl, sulfonyl moieties. 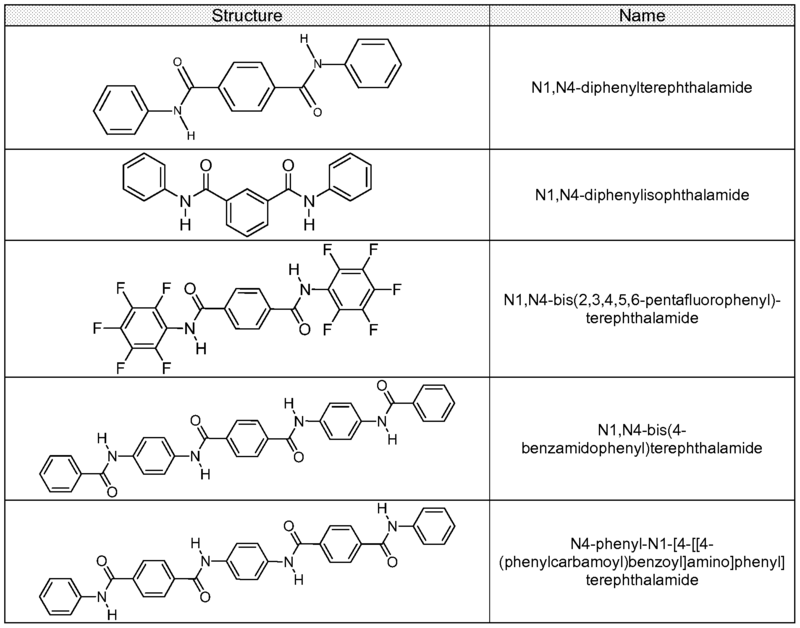 Examples of heterocyclyl groups include, but are not limited to, azetidinyl, tetrahydropyranyl, piperidinyl, N-methylpiperidin-3-yl, piperazinyl, N-methylpyrrolidin-3-yl, 3- pyrrolidinyl, 2-pyrrolidon-1 -yl, morpholinyl, thiomorpholinyl, imidazolidinyl, and pyrrol id inyl. phosphoramidate monoester, cyclic phosphoramidate, cyclic phosphorodiamidate, phosphoramidate diester, sulfate, sulfonate, sulfonyl, substituted sulfonyl, sulfonyloxy, thioacyl, thiocyanate, thiol, alkylthio, etc., as well as combinations of such substituents. polyaryletherketone, polyetherimide, etc.) 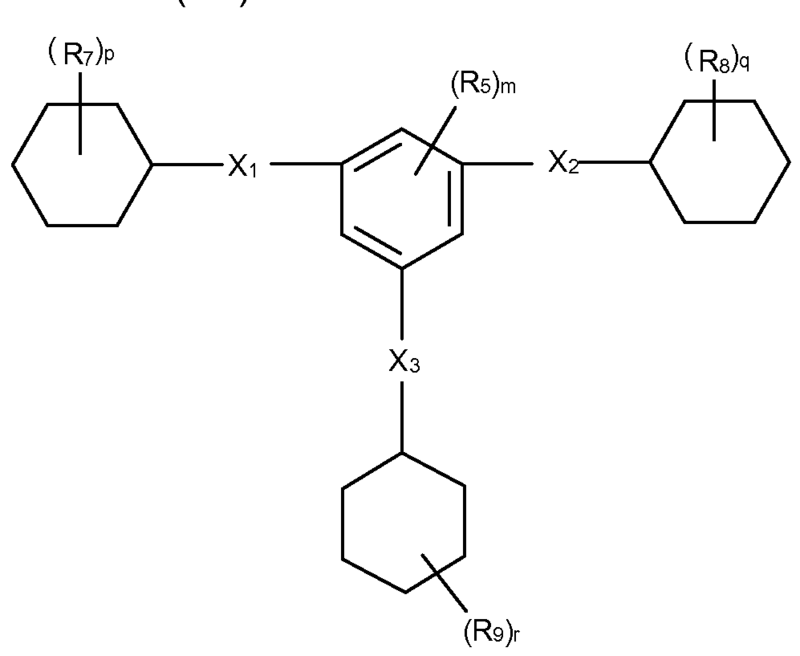 and at least one aromatic amide oligomer. Among other things, the oligomer can serve as a flow aid that lowers the overall viscosity of the polymer matrix under shear. The relative proportion of high performance polymer(s) and aromatic amide oligomer(s) in the composition may be selected to help achieve a balance between viscosity and mechanical properties. More particularly, high oligomer contents can result in low viscosity, but too high of a content may reduce the viscosity to such an extent that the oligomer adversely impacts the melt strength of the composition. In most embodiments, for example, aromatic amide oligomer(s) may be employed in an amount of from about 0.5 to about 50 parts, in some embodiments from about 1 to about 20 parts, and in some embodiments, from about 3 to about 15 parts by weight relative to 100 parts by weight of the high performance polymer(s). 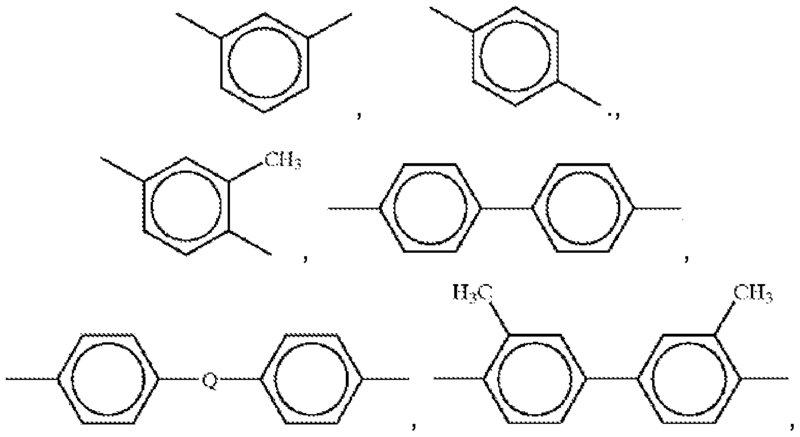 The aromatic amide oligomers may also constitute from about 0.1 wt.% to about 30 wt.%, in some embodiments from about 0.5 wt.% to about 20 wt.%, and in some embodiments, from about 1 wt.% to about 15 wt.% of the polymer composition. High performance polymers may likewise constitute from about 70 wt.% to about 99.9 wt.%, in some embodiments from about 80 wt.% to about 99.5 wt.%, and in some embodiments, from about 85 wt.% to about 99 wt.% of the polymer composition. Various embodiments of the present invention will now be described in more detail. The aromatic amide oligomer generally has a relatively low molecular weight. For example, the oligomer typically has a molecular weight of about 2,000 grams per mole or less, in some embodiments from about 50 to about 1 ,000 grams per mole, in some embodiments from about 100 to about 600 grams per mole, and in some embodiments, from about 150 to about 500 grams per mole. In addition to possessing a relatively low molecular weight, the oligomer also generally possesses a high amide functionality so it is capable of undergoing a sufficient degree of hydrogen bonding with the high performance polymer. The degree of amide functionality for a given molecule may be characterized by its "amide equivalent weight", which reflects the amount of a compound that contains one molecule of an amide functional group and may be calculated by dividing the molecular weight of the compound by the number of amide groups in the molecule. 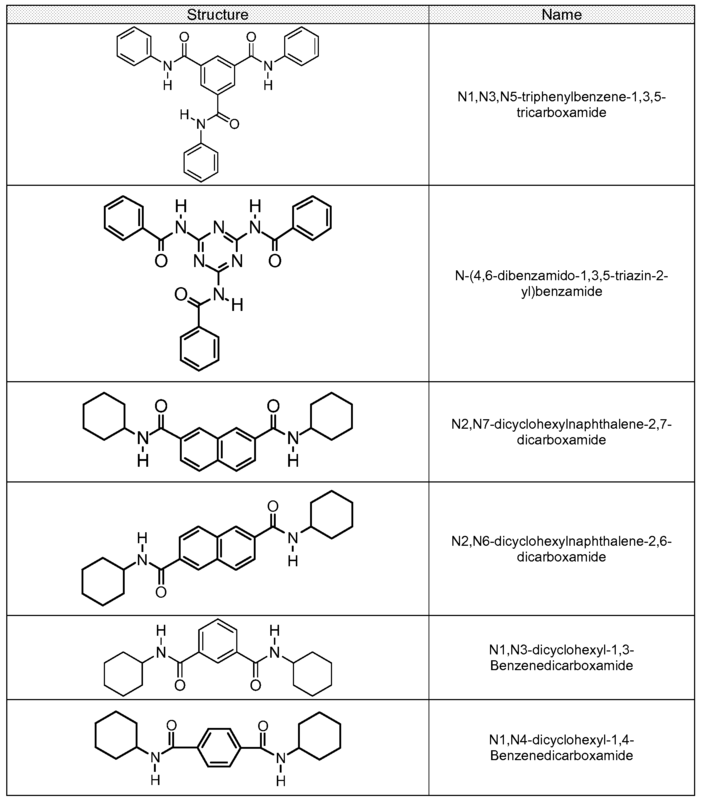 For example, the aromatic amide oligomer may contain from 1 to 10, in some embodiments from 2 to 8, and in some embodiments, from 2 to 4 amide functional groups per molecule. The amide equivalent weight may likewise be from about 10 to about 1 ,500 grams per mole or less, in some embodiments from about 50 to about 500 grams per mole, and in some embodiments, from about 100 to about 300 grams per mole. R5 is halo, haloalkyl, alkyl, alkenyl, aryl, heteroaryl, cycloalkyl, or heterocyclyl. Ring B may be phenyl. R3 is selected from aryl, heteroaryl, cycloalkyi, and heterocyclyl. R4 is selected from aryl, heteroaryl, cycloalkyi, and heterocyclyl. R6 is halo, haloalkyi, alkyl, alkenyl, alkynyl, aryl, heteroaryl, cydoalkyi, or heterocyclyl. p and q are independently from 0 to 5. Xi , X2, R5, R7, Rs, m, p, and q are as defined above. For example, in certain embodiments, m, p, and q in Formula (IV) and Formula (V) may be equal to 0 so that the core and terminal aromatic groups are unsubstituted. In other embodiments, m may be 0 and p and q may be from 1 to 5. In such embodiments, for example, R7 and/or R8 may be halo (e.g., fluorine). In other embodiments, R7 and/or R8 may be aryl (e.g., phenyl), cycloalkyi (e.g., cyclohexyl), or aryl and/or cycloalkyi substituted with an amide group having the structure: -C(O)Ri2N- or -N Ri3C(O)-, wherein R 2 and R13 are independently selected from hydrogen, alkyl, alkenyl, alkynyl, aryl, heteroaryl, cycloalkyi, and heterocyclyl. In one particular embodiment, for example, R7 and/or R8 are phenyl substituted with -C(O)HN- or -N HC(O)-. In yet other embodiments, R7 and/or R8 may be heteroaryl (e.g., pyridinyl). m is from 0 to 3; and p, q, and r are independently from 0 to 5. Xi , X2, X3, R5, R7, Rs, R9, m, p, q, and r are as defined above. For example, in certain embodiments, m, p, q, and r in Formula (VI) or in Formula (VII) may be equal to 0 so that the core and terminal aromatic groups are unsubstituted. In other embodiments, m may be 0 and p, q, and r may be from 1 to 5. In such embodiments, for example, R7, Rs, and/or R9 may be halo (e.g., fluorine). In other embodiments, R7, Rs, and/or R9 may be aryl (e.g., phenyl), cycloalkyl (e.g., cyclohexyl), or aryl and/or cycloalkyl substituted with an amide group having the structure: -C(O)Ri2N- or -NR13C(O)-, wherein R12 and R13 are independently selected from hydrogen, alkyl, alkenyl, alkynyl, aryl, heteroaryl, cycloalkyl, and heterocyclyl. In one particular embodiment, for example, R7, Rs, and/or R9 are phenyl substituted with -C(O)HN- or -NHC(O)-. In yet other embodiments, R7, R8, and/or R9 may be heteroaryl (e.g., pyridinyl). The high performance polymers employed in the polymer composition are generally substantially amorphous or semi-crystalline in nature and have a relatively high glass transition temperature. For example, the glass transition temperature of the polymer may be about 100°C or more, in some embodiments about 1 10°C or more, in some embodiments from about 120°C to about 260°C, and in some embodiments, from about 130°C to about 230°C. The glass transition temperature may be determined as is well known in the art using differential scanning calorimetry ("DSC"), such as determined by ISO Test No. 1 1357. 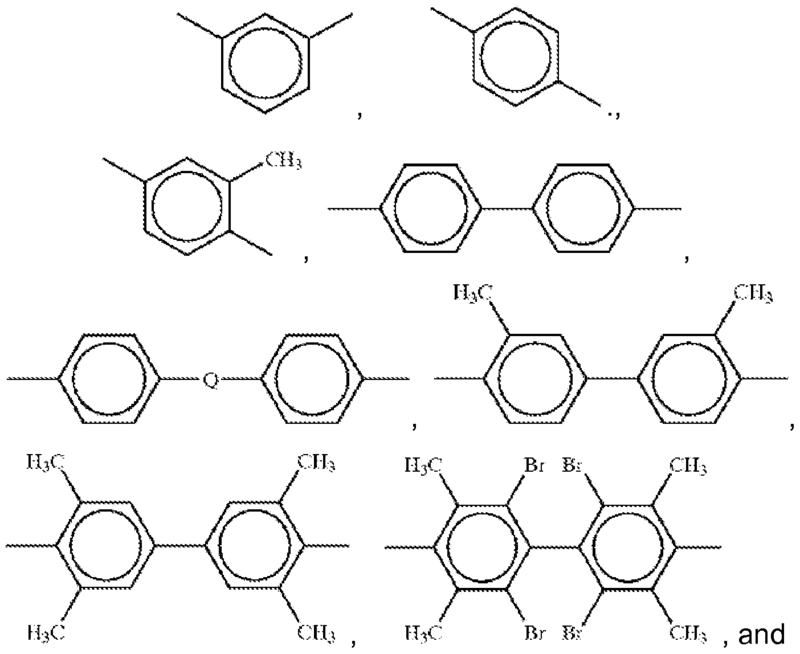 Particularly suitable high performance polymers are polyaryletherketones and/or polyetherimides, which are discussed in more detail below. E, E', G, Ar, m, r, s and w are as described above. polyetheretherketone ("PEEK") (wherein in Formula (X), Ar is moiety (iv), E and E' are oxygen atoms, m is 0, w is 1 , G is a direct link, s is 0, and A and B are 1 ); polyetherketone ("PEK") (wherein in Formula (X), E is an oxygen atom, E' is a direct link, Ar is moiety (i), m is 0, A is 1 , B is 0); polyetherketoneketone ("PEKK") (wherein in Formula (X), E is an oxygen atom, Ar is moiety (i), m is 0, E' is a direct link, A is 1 , and B is 0); polyetherketoneetherketoneketone ("PEKEKK") (wherein in Formula (X), Ar is moiety (i), E and E' are oxygen atoms, G is a direct link, m is 0, w is 1 , r is 0, s is 1 , and A and B are 1 ); polyetheretherketoneketone ("PEEKK") (wherein in Formula (X), Ar is moiety (iv), E and E' are oxygen atoms, G is a direct link, m is 0, w is 0, and s, r, A and B are 1 ); polyether-diphenyl- ether-ether-diphenyl-ether-phenyl-ketone-phenyl (wherein in Formula (X), Ar is moiety (iv), E and E' are oxygen atoms, m is 1 , w is 1 , A is 1 , B is 1 , r and s are 0, and G is a direct link); as well as blends and copolymers thereof. embodiments, from about 200°C to about 230°C. Prior to combination with the aromatic amide oligomer, the initial polyetherimide may have a relatively high melt viscosity. In one particular embodiment, for example, the polyetherimide may have a melt viscosity of about 550 Pa-s or more, in some embodiments from about 580 to about 1000 Pa-s, and in some embodiments, from about 600 to about 800 Pa-s, determined at a shear rate of 1000 seconds"1. Melt viscosity may be determined in accordance with ISO Test No. 1 1443 (equivalent to ASTM Test No. 1238-70) at a temperature of 350°C. Q is a divalent radical, such as -CyH2y-, -C(O)-, -SO2-, -O-, -S-, etc., and y is an integer of from 1 to 5, and in some embodiments, from 2 to 3.
wherein, Q is as defined above. Various techniques may be employed to form the polyetherimides as is known in the art and described, for instance, in U.S. Patent Nos. 3,847,867, 3,814,869, 3,850,885, 3,852,242, 3,855,178, 3,983,093, and 4,443,591 . 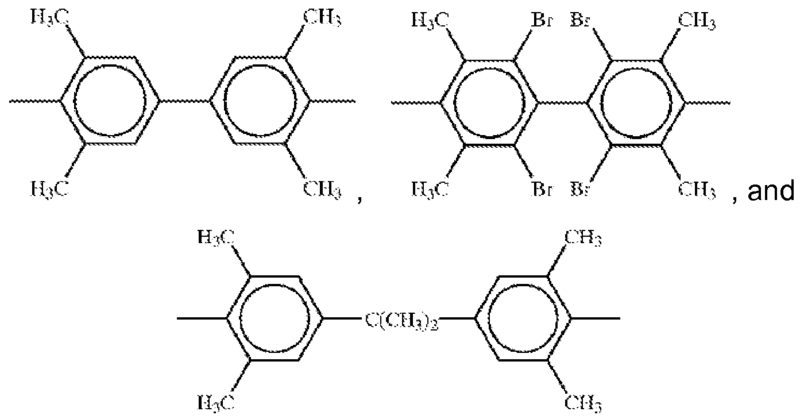 For example, the polyetherimide can be prepared by reaction of an aromatic bis(ether anhydride) and organic diamine in the presence of a solvent, such as o- dichlorobenzene, m-cresol/toluene, etc. Alternatively, the polyetherimide can be prepared by melt polymerization of aromatic bis(ether anhydride)s and diamines by heating a mixture of the starting materials to elevated temperatures with concurrent stirring. Chain stoppers and branching agents may also be employed in the reaction. When polyetherimide/polyimide copolymers are employed, a dianhydride (e.g., pyromellitic anhydride) may be used in combination with the bis(ether anhydride). "thermotropic" to the extent that they can possess a rod-like structure and exhibit a crystalline behavior in their molten state (e.g., thermotropic nematic state). mechanical properties of the polymer composition, such as described in more detail below. Yi and Y2 are independently O, C(O), NH, C(O)HN, or NHC(O), wherein at least one of Yi and Y2 are C(O). 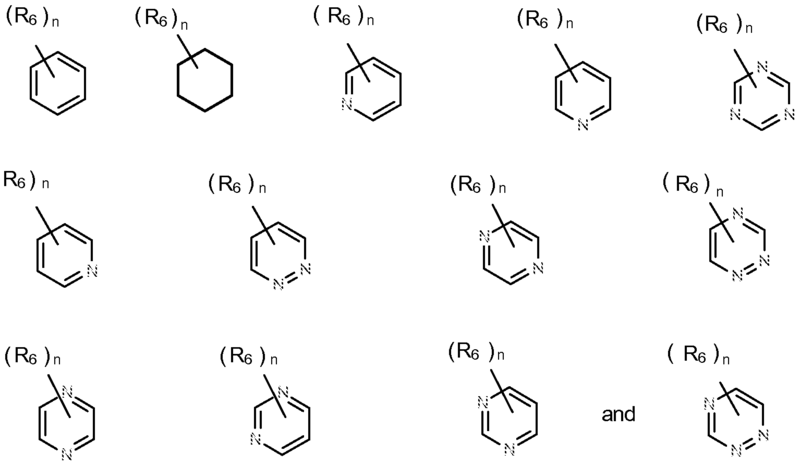 Examples of aromatic ester repeating units that are suitable for use in the present invention may include, for instance, aromatic dicarboxylic repeating units (Yi and Y2 in Formula XV are C(O)), aromatic hydroxycarboxylic repeating units (Yi is O and Y2 is C(O) in Formula XV), as well as various combinations thereof. Aromatic dicarboxylic repeating units, for instance, may be employed that are derived from aromatic dicarboxylic acids, such as terephthalic acid, phthalic acid, isophthalic acid, 2,6-naphthalenedicarboxylic acid, diphenyl ether- 4,4'-dicarboxylic acid, 1 ,6-naphthalenedicarboxylic acid, 2,7- naphthalenedicarboxylic acid, 4,4'-dicarboxybiphenyl, bis(4-carboxyphenyl)ether, bis(4-carboxyphenyl)butane, bis(4-carboxyphenyl)ethane, bis(3- carboxyphenyl)ether, bis(3-carboxyphenyl)ethane, etc., as well as alkyl, alkoxy, aryl and halogen substituents thereof, and combinations thereof. Particularly suitable aromatic dicarboxylic acids may include, for instance, terephthalic acid ("TA"), isophthalic acid ("IA"), and 2,6-naphthalenedicarboxylic acid ("NDA"). When employed, repeating units derived from aromatic dicarboxylic acids (e.g., IA, TA, and/or NDA) typically constitute from about 0.5 mol.% to about 50 mol.%, in some embodiments from about 1 mol.% to about 30 mol.%, and in some embodiments, from about 5 mol.% to about 20% of the polymer. Aromatic hydroxycarboxylic repeating units may also be employed that are derived from aromatic hydroxycarboxylic acids, such as, 4-hydroxybenzoic acid; 4-hydroxy-4'-biphenylcarboxylic acid; 2-hydroxy-6-naphthoic acid; 2-hydroxy- 5-naphthoic acid; 3-hydroxy-2-naphthoic acid; 2-hydroxy-3-naphthoic acid; 4'- hydroxyphenyl-4-benzoic acid; 3'-hydroxyphenyl-4-benzoic acid; 4'-hydroxyphenyl- 3-benzoic acid, etc., as well as alkyl, alkoxy, aryl and halogen substituents thereof, and combination thereof. Particularly suitable aromatic hydroxycarboxylic acids are 4-hydroxybenzoic acid ("HBA") and 6-hydroxy-2-naphthoic acid ("HNA"). When employed, repeating units derived from hydroxycarboxylic acids (e.g., HBA and/or HNA) typically constitute from about 20 mol.% to about 85 mol.%, in some embodiments from about 40 mol.% to about 80 mol.%, and in some embodiments, from about 50 mol.% to about 75% of the polymer. Other repeating units may also be employed in the polymer. In certain embodiments, for instance, repeating units may be employed that are derived from aromatic diols, such as hydroquinone, resorcinol, 2,6- dihydroxynaphthalene, 2,7-dihydroxynaphthalene, 1 ,6-dihydroxynaphthalene, 4,4'- dihydroxybiphenyl (or 4,4'-biphenol), 3,3'-dihydroxybiphenyl, 3,4'- dihydroxybiphenyl, 4,4'-dihydroxybiphenyl ether, bis(4-hydroxyphenyl)ethane, 4,4'- dihydroxybiphenyl sulfone, etc., as well as alkyl, alkoxy, aryl and halogen substituents thereof, and combinations thereof. Particularly suitable aromatic diols may include, for instance, hydroquinone ("HQ") and 4,4'-biphenol ("BP"). When employed, repeating units derived from aromatic diols (e.g., HQ and/or BP) typically constitute from about 1 mol.% to about 35 mol.%, in some embodiments from about 2 mol.% to about 30 mol.%, and in some embodiments, from about 5 mol.% to about 25% of the polymer. Repeating units may also be employed, such as those derived from aromatic amides (e.g., acetaminophen ("APAP")) and/or aromatic amines (e.g., 4-aminophenol ("AP"), 3-aminophenol, 1 ,4- phenylenediamine, 1 ,3-phenylenediamine, 4,4'-diamino biphenyl sulfone, etc.). 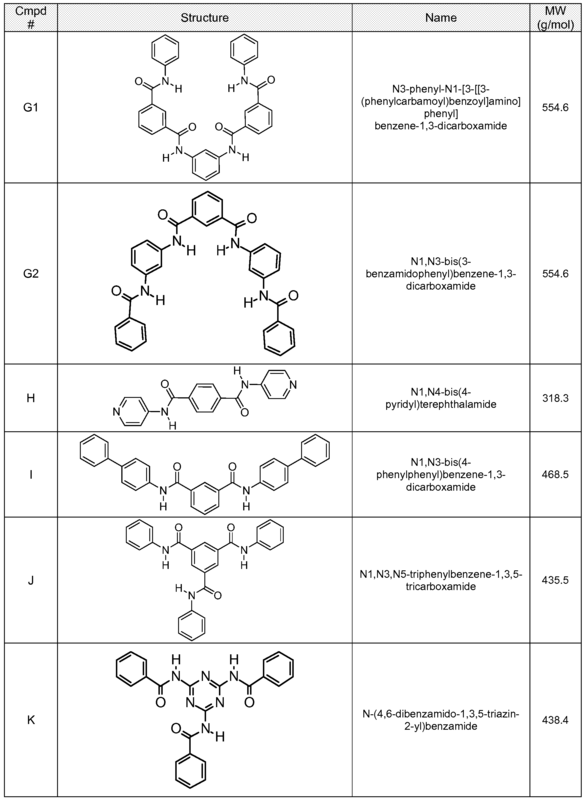 When employed, repeating units derived from aromatic amides (e.g., APAP) and/or aromatic amines (e.g., AP) typically constitute from about 0.1 mol.% to about 20 mol.%, in some embodiments from about 0.5 mol.% to about 15 mol.%, and in some embodiments, from about 1 mol.% to about 10% of the polymer. It should also be understood that various other monomeric repeating units may be incorporated into the polymer. For instance, in certain embodiments, the polymer may contain one or more repeating units derived from non-aromatic monomers, such as aliphatic or cycloaliphatic hydroxycarboxylic acids, dicarboxylic acids, diols, amides, amines, etc. 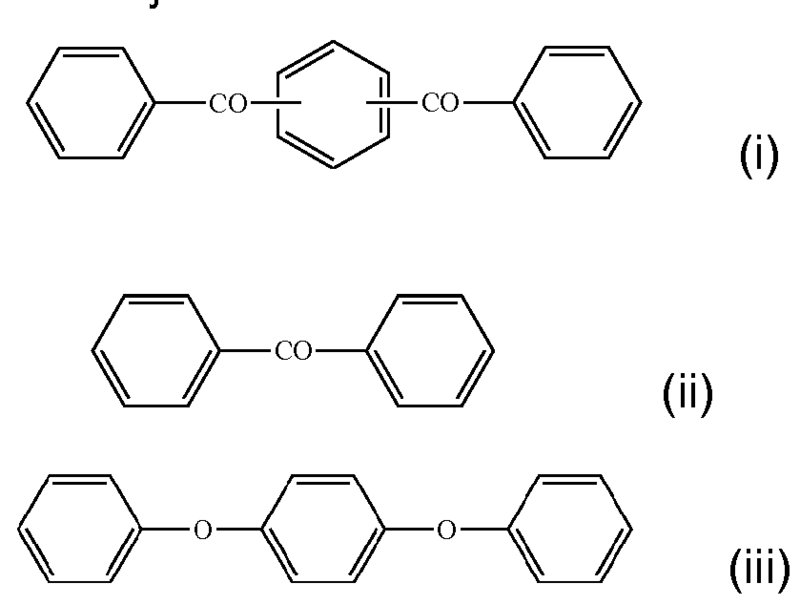 Of course, in other embodiments, the polymer may be "wholly aromatic" in that it lacks repeating units derived from non-aromatic (e.g., aliphatic or cycloaliphatic) monomers. HNA, or a combination of HNA and NDA) is typically no more than 15 mol.%, in some embodiments no more than about 13 mol.%, in some embodiments no more than about 10 mol.%, in some embodiments no more than about 8 mol.%, and in some embodiments, from 0 mol.% to about 5 mol.% of the polymer (e.g., 0 mol.%). ("HQ"), etc. and aromatic amides, such as acetaminophen ("APAP"). In certain embodiments, for example, BP, HQ, and/or APAP may each constitute from about 1 mol.% to about 30 mol.%, in some embodiments from about 2 mol.% to about 25 mol.%, and in some embodiments, from about 3 mol.% to about 20 mol.% when employed. If desired, the polymer may also contain a small amount of 6-hydroxy-2-naphthoic acid ("HNA") within the ranges noted above. ("DSC"), such as determined by ISO Test No. 1 1357. If desired, the polymer composition may also be combined with a wide variety of other types of components. For example, a filler material may be incorporated into the polymer composition to form a filled composition with enhanced strength and/or surface properties. A filled polymer composition can include, for example, a mineral filler and/or a fiber filler optionally in conjunction with one or more other additives as are generally known in the art. MPa to about 10,000 MPa, and in some embodiments, from about 3,000 MPa to about 6,000 MPa. To help maintain an insulative property, which is often desirable for use in electronic components, the high strength fibers may be formed from materials that are also generally insulative in nature, such as glass, ceramics (e.g., alumina or silica), aramids (e.g., Kevlar® marketed by E. I. du Pont de Nemours, Wilmington, Delaware), polyolefins, polyesters, etc., as well as mixtures thereof. Glass fibers are particularly suitable, such as E-glass, A-glass, C-glass, D-glass, AR-glass, R-glass, S1 -glass, S2-glass, etc., and mixtures thereof. The relative amount of the fibers in the filled polymer composition may also be selectively controlled to help achieve the desired mechanical properties without adversely impacting other properties of the composition, such as its flowability. For example, the fibers may constitute from about 2 wt.% to about 40 wt.%, in some embodiments from about 5 wt.% to about 35 wt.%, and in some embodiments, from about 6 wt.% to about 30 wt.% of the filled polymer composition. Although the fibers may be employed within the ranges noted above, small fiber contents may be employed while still achieving the desired mechanical properties. For example, the fibers can be employed in small amounts such as from about 2 wt.% to about 20 wt.%, in some embodiments, from about 5 wt.% to about 16 wt.%, and in some embodiments, from about 6 wt.% to about 12 wt.%. (K(Li>AI)2-3(AISi3)Oio(OH)2)> glauconite (K,Na)(AI,Mg,Fe)2(Si,AI)4O10(OH)2), etc., as well as combinations thereof. The manner in which the oligomer and the high performance polymer are combined may vary as is known in the art. For instance, the raw materials may be supplied either simultaneously or in sequence to a melt processing device that dispersively blends the materials. Batch and/or continuous melt processing techniques may be employed. For example, a mixer/kneader, Banbury mixer, Farrel continuous mixer, single-screw extruder, twin-screw extruder, roll mill, etc., may be utilized to blend and melt process the materials. One particularly suitable melt processing device is a co-rotating, twin- screw extruder (e.g., Leistritz co-rotating fully intermeshing twin screw extruder). Such extruders may include feeding and venting ports and provide high intensity distributive and dispersive mixing. For example, the high performance polymer and oligomer may be fed to the same or different feeding ports of a twin-screw extruder and melt blended to form a substantially homogeneous melted mixture. Melt blending may occur under high shear/pressure and heat to ensure sufficient dispersion. For example, melt processing may occur at a temperature of from about 200°C to about 500°C, and in some embodiments, from about 250°C to about 400°C. Likewise, the apparent shear rate during melt processing may range from about 100 seconds"1 to about 10,000 seconds"1 , and in some embodiments, from about 500 seconds"1 to about 1 ,500 seconds"1. Of course, other variables, such as the residence time during melt processing, which is inversely proportional to throughput rate, may also be controlled to achieve the desired degree of homogeneity. determined in accordance with ISO Test No. 1 1443 (equivalent to ASTM Test No. 1238-70) at a shear rate of 1000 seconds"1 and temperature of 350°C, 370°C, or 390°C. The resulting polymer composition may also exhibit a relatively high glass transition temperature. Nevertheless, due to the interaction of the oligomer with the high performance polymer, the glass transition temperature may be reduced so that the ratio of the glass transition temperature of the polymer composition to the initial glass transition temperature of the high performance polymer may be about 0.98 or less, in some embodiments about 0.95 or less, in some embodiments, from about 0.01 to about 0.90, in some embodiments from about 0.02 to about 0.85, and in some embodiments, from about 0.05 to about 0.50. For example, the glass transition temperature of the polymer composition may be about 50°C or more, in some embodiments about 70°C or more, in some embodiments from about 80°C to about 260°C, and in some embodiments, from about 90°C to about 200°C. The glass transition temperature may be determined as is well known in the art using differential scanning calorimetry ("DSC"), such as determined by ISO Test No. 1 1357.
determined according to ASTM D648-07 (technically equivalent to ISO Test No. 75-2) at a specified load of 1 .8 MPa. 20.1 , and an entrance angle of 180°. The diameter of the barrel may also be 9.55 mm + 0.005 mm and the length of the rod may be 233.4 mm. Complex viscosity: The complex viscosity is used herein as an estimate for the "low shear" viscosity of the polymer composition at low frequencies. Complex viscosity is a frequency-dependent viscosity, determined during forced harmonic oscillation of shear stress at angular frequencies of 0.15 and 500 radians per second. Measurements may be determined at a constant temperature of 350°C and at a constant strain amplitude of 1 % using an ARES-G2 rheometer (TA Instruments) with a parallel plate configuration (25 mm plate diameter). Glass Transition Temperatures: The glass transition temperature ("Tg") may be determined by differential scanning calorimetry ("DSC") as is known in the art and described in ISO Test No. 1 1357. For crystalline or semi- crystalline materials, the melting temperature ("Tm") may also be determined as the differential scanning calorimetry (DSC) peak melt temperature. Under the DSC procedure, samples may be heated and cooled at 20°C per minute as stated in ISO Standard 10350 using DSC measurements conducted on a TA Q2000 Instrument. Deflection Under Load Temperature ("DTUL"): The deflection under load temperature may be determined in accordance with ISO Test No. 75-2 (technically equivalent to ASTM D648-07). More particularly, a test strip sample having a length of 80 mm, thickness of 10 mm, and width of 4 mm may be subjected to an edgewise three-point bending test in which the specified load (maximum outer fibers stress) was 1 .8 Megapascals. The specimen may be lowered into a silicone oil bath where the temperature is raised at 2°C per minute until it deflects 0.25 mm (0.32 mm for ISO Test No. 75-2). Tensile Properties: Tensile properties may be tested according to ISO Test No. 527 (technically equivalent to ASTM D638). Modulus and strength measurements may be made on the same test strip sample having a length of 80 mm, thickness of 10 mm, and width of 4 mm. The testing temperature may be 23°C, and the testing speeds may be 1 or 5 mm/min. D256, Method B). This test may be run using a Type A notch (0.25 mm base radius) and Type 1 specimen size (length of 80 mm, width of 10 mm, and thickness of 4 mm). Specimens may be cut from the center of a multi-purpose bar using a single tooth milling machine. The testing temperature may be 23°C. The experimental set up consisted of a 2L glass beaker equipped with a glass rod stirrer coupled with an overhead mechanical stirrer. DMAc (1 .5 L) was added to the beaker and the beaker was immersed in an ice bath to cool the solvent to 10-15°C. Then aniline (561 .9 g) was added to the solvent with constant stirring, the resultant mixture was cooled to 10-15°C. 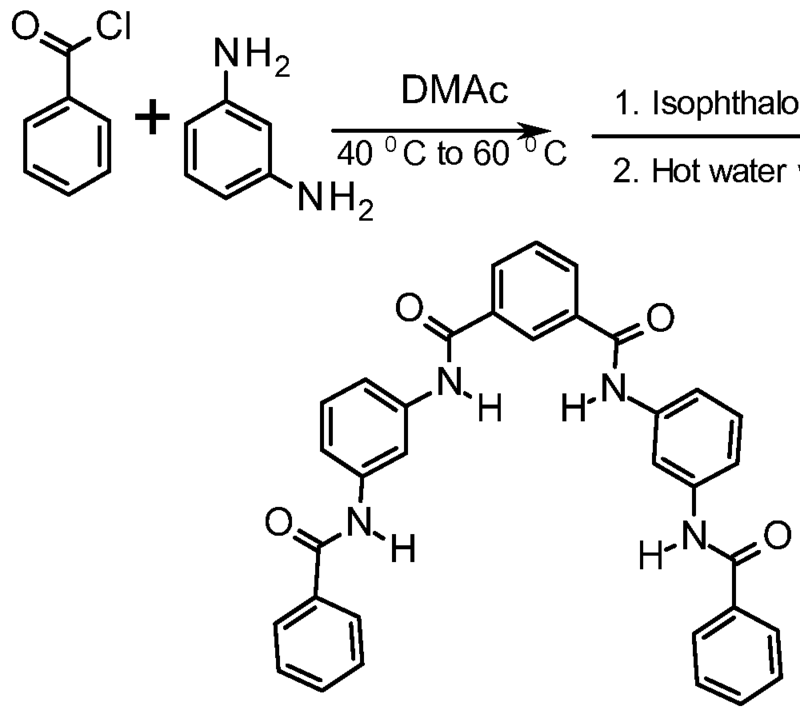 Isophthaloyl chloride (350 g dissolved in 200 g of DMAc) was added gradually to the cooled stirred mixture such that the temperature of the reaction was maintained below 30°C. The acid chloride was added over a period of one hour, after which the mixture was stirred for another three hours at 10-15°C and then at room temperature overnight. The reaction mixture was milky white in appearance. The product was recovered by precipitation by addition of 1 .5 L of distilled water and followed by was vacuum filtration using a filter paper and a Buchner funnel. The crude product was then washed with acetone (2 L) and then washed again with hot water (2 L). The product was then air dried over night at room temperature and then was dried in a vacuum oven 150°C for 4-6 hours. The product (522 g) was a white solid. The melting point was 290°C as determined by DSC. (DMAc) (50 mL) and terephthaloyl chloride (3.7 g) was added in one portion. The reaction mixture was stirred and then refluxed for six (6) hours at 120°C. The reaction mixture was then cooled and 200 mL water was added to the mixture to precipitate the crude product. The product was then filtered and dried. The crude product was then washed with acetone (100 mL) and dried to give a white powder as the final product (6.8 g). The melting point by DSC was 331 .6 °C. The experimental setup consisted of a 500 mL glass beaker equipped with a magnetic stirrer. 1 ,4 phenylene diamine (20 g) was dissolved in warm NMP (200 mL) at 40 °C. Benzoyl chloride (26.51 g) was added drop wise to a stirred solution of the diamine over a period of 30 minutes. After the addition of the benzoyl chloride was completed, the reaction mixture was warmed to 70-80°C and then allowed to cool to 50 °C. 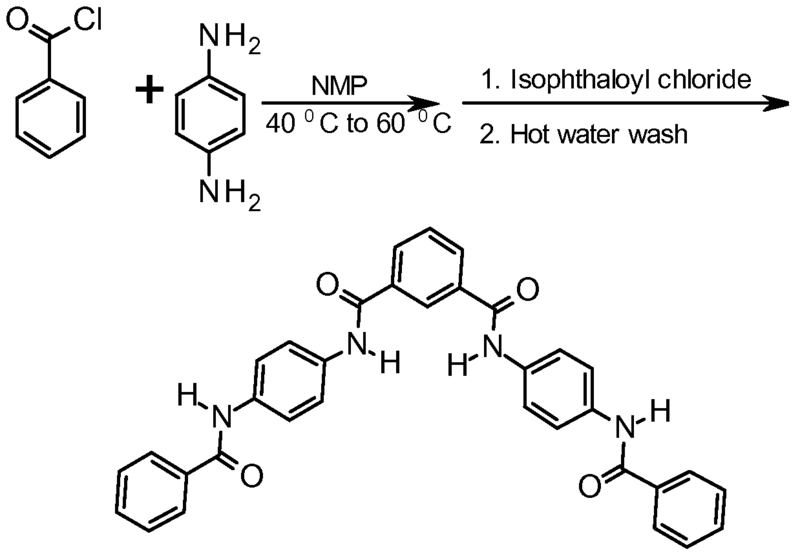 After cooling to the desired temperature, isophthaloyl chloride (18.39 g) was added in small portions such that the temperature of the reaction mixture did not increase above 70°C. The mixture was then stirred for additional one (1 ) hour at 70°C, and was allowed to rest overnight at room temperature. The product was recovered by addition of water (200 mL) to the reaction mixture, followed by filtration and washing with hot water (500 mL). The product was then dried in a vacuum oven at 150°C for about 6-8 hours to give a pale yellow colored solid (51 g). The melting point by DSC was 329 °C. temperature. The product was recovered by addition of water (200 ml_) to the reaction mixture, followed by filtration and washing with hot water (500 ml_). The product was then dried in a vacuum oven at 150°C for about 6-8 hours to give a pale yellow colored solid (45 g). The experimental set up consisted of a 2L glass beaker equipped with a glass rod stirrer coupled with an overhead mechanical stirrer. Trimesoyl chloride (200 g) was dissolved in dimethyl acetamide ("DMAc") (1 L) and cooled by an ice bath to 10-20°C. Aniline (421 g) was added drop wise to a stirred solution of the acid chloride over a period of 1 .5 to 2 hours. After the addition of the amine was completed, the reaction mixture was stirred additionally for 45 minutes, after which the temperature was increased to 90°C for about 1 hour. The mixture was allowed to rest overnight at room temperature. The product was recovered by precipitation through the addition of 1 .5 L of distilled water, which was followed by was vacuum filtration using a filter paper and a Buchner funnel. The crude product was washed with acetone (2 L) and then washed again with hot water (2 L). The product was then air dried over night at room temperature and then was dried in a vacuum oven 150°C for 4 to 6 hours. The product (250 g) was a white solid, and had a melting point of 319.6°C, as determined by differential scanning calorimetry ("DSC"). Compound A is synthesized as described above and tested for its influence on the melt viscosity of VICTREX™ 150GL30, a commercial grade of polyetheretherketone ("PEEK") available from Victrex Manufacturing, Ltd. More particularly, the polymer is heated at 120°C. The hot pellets are then coated with Compound A and melt mixed using a Leistritz 18mm co-rotating fully intermeshing twin screw extruder having 6 temperature control zones (including at the extrusion die) and an overall L/D of 30. A general purpose screw design is used to compound the oligomer into a resin matrix. All materials are fed to the feed throat in the first barrel by means of a volumetric feeder. Materials are melted and mixed then extruded through a single hole strand die. Material is then quenched in a water bath to solidify and granulated in a pelletizer. The resultant pellets are dried for 3 hours at 120°C and scanning shear capillary melt viscosity measurements were carried out at 370°C. The results are set forth below. Compound E is synthesized as described above and compounded with VICTREX™ 150GL30 as described in Example 1 . VICTREX™ 150GL30 without the addition of Compound A ("Control"). The results are set forth in Fig. 6. As shown, the use of Compound A in Examples 1 and 3 resulted in a significant decrease in viscosity at various frequencies (e.g., 500 rad/s). Several of the pellets of Examples 1 and 3 are also injection molded to obtain specimen samples for tensile, impact, flexural and heat distortion temperature measurements. The results are set forth below. As indicated, good mechanical properties are observed for the compositions of the present invention. polyetherimide ("PEI") available from Sabic. More particularly, the polymer is heated at 120°C. The hot pellets are then coated with Compound A and melt mixed using a Leistritz 18mm co-rotating fully intermeshing twin screw extruder having 6 temperature control zones (including at the extrusion die) and an overall L/D of 30. A general purpose screw design is used to compound the oligomer into a resin matrix. All materials are fed to the feed throat in the first barrel by means of a volumetric feeder. Materials are melted and mixed then extruded through a single hole strand die. Material is then quenched in a water bath to solidify and granulated in a pelletizer. The resultant pellets are dried for 3 hours at 120°C and scanning shear capillary melt viscosity measurements were carried out at 350°C. The results are set forth below. Compound A is employed in combination with VECTRA® E950i (liquid crystalline polymer available from Ticona, LLC) and tested for their influence on the melt viscosity as described in Example 5. The results are set forth below. Several of the pellets of Examples 5 and 6 are also injection molded to obtain specimen samples for tensile, impact, flexural and heat distortion temperature measurements. The results are set forth below. These and other modifications and variations of the present invention may be practiced by those of ordinary skill in the art, without departing from the spirit and scope of the present invention. In addition, it should be understood that aspects of the various embodiments may be interchanged both in whole or in part. Furthermore, those of ordinary skill in the art will appreciate that the foregoing description is by way of example only, and is not intended to limit the invention so further described in such appended claims. Ri and R2 are independently selected from aryl, heteroaryl, cycloalkyl, and heterocyclyl. 2. The polymer composition of claim 1 , wherein the aromatic amide oligomer has a molecular weight of about 2,000 grams per mole or less. 3. The polymer composition of claim 1 or 2, wherein the oligomer has from 2 to 8 amide functional groups per molecule. 4. 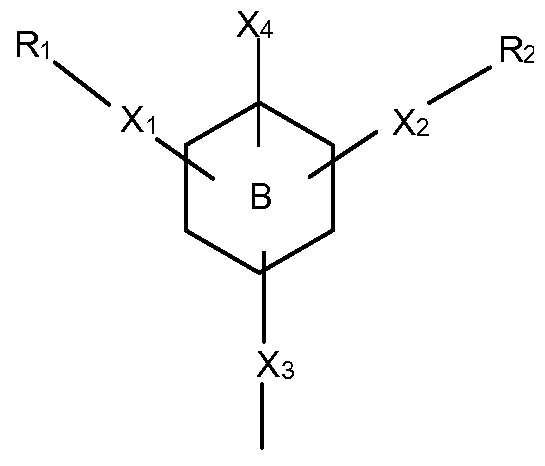 The polymer composition of any of the foregoing claims, wherein ring B is phenyl. 5. 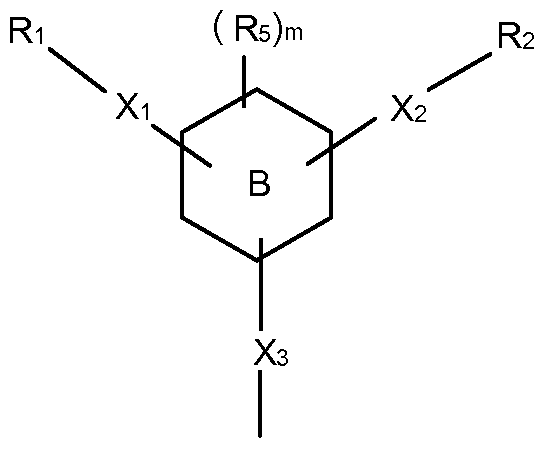 The polymer composition of any of the foregoing claims, wherein ring B is naphthyl. q and r are independently from 0 to 5. 7. 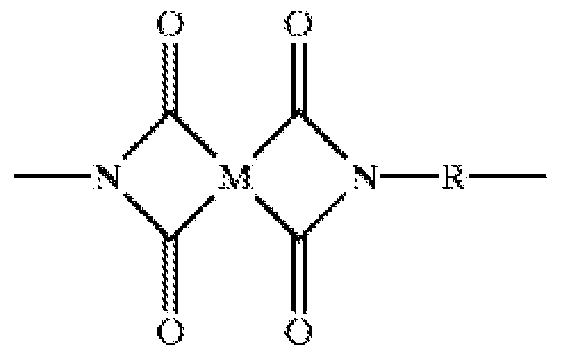 The polymer composition of claim 6, wherein m, q, and r are 0. 8. The polymer composition of claim 6, wherein m is 0, and q and r are independently from 1 to 5. 9. The polymer composition of claim 8, wherein R8, Rg, or both are halo. 10. The polymer composition of claim 8, wherein R8, Rg, or both are unsubstituted aryl, unsubstituted cydoalkyi, aryl substituted with and/or cydoalkyi substituted with an amide group having the structure: -C(O)Ri2N- or -NRi3C(O)-, wherein Ri2 and R13 are independently selected from hydrogen, alkyl, alkenyl, alkynyl, aryl, heteroaryl, cydoalkyi, and heterocyclyl. 1 1 . The polymer composition of claim 10, wherein R8 and Rg are phenyl substituted with -C(O)HN- or -NHC(O)-. 12. The polymer composition of claim 9, wherein R8, Rg, or both are heteroaryl. 14. The polymer composition of claim 13, wherein m, q, and r are 0. 15. The polymer composition of claim 13, wherein m is 0, and q and r are independently from 1 to 5. 16. The polymer composition of claim 15, wherein R8, Rg, or both are halo. 17. The polymer composition of claim 15, wherein R8, Rg, or both are unsubstituted aryl, unsubstituted cydoalkyi, aryl substituted with and/or cydoalkyi substituted with an amide group having the structure: -C(O)Ri2N- or -NRi3C(O)-, wherein R12 and Ri3 are independently selected from hydrogen, alkyl, alkenyl, alkynyl, aryl, heteroaryl, cydoalkyi, and heterocyclyl. 18. The polymer composition of claim 17, wherein R8 and Rg are phenyl substituted with -C(O)HN- or -NHC(O)-. 19. The polymer composition of claim 17, wherein R8, Rg, or both are heteroaryl. 21 . 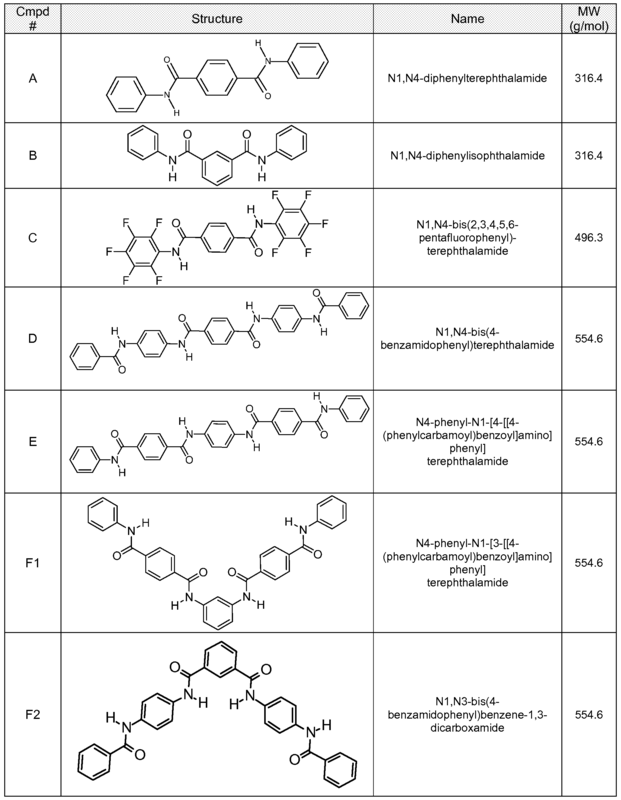 The polymer composition of claim 1 , wherein the aromatic amide oligomer is N1 ,N4-diphenylterephthalamide, N1 ,N3-diphenylisophthalamide, N1 ,N3-dicyclohexyl-1 ,3-benzenedicarboxamide, or N1 ,N4-dicyclohexyl-1 ,4- benzenedicarboxamide. 22. The polymer composition of any of the foregoing claims, wherein the high performance polymer has a glass transition temperature of from about 130°C to about 230°C. 23. The polymer composition of any of claims 1 -22, wherein the high performance polymer is a polyaryletherketone. 24. The polymer composition of claim 23, wherein the polyaryletherketone has a melt viscosity of about 150 Pa-s or more, as determined in accordance with ISO Test No. 1 1443 at a shear rate of 1000 s"1 and temperature of 370°C. 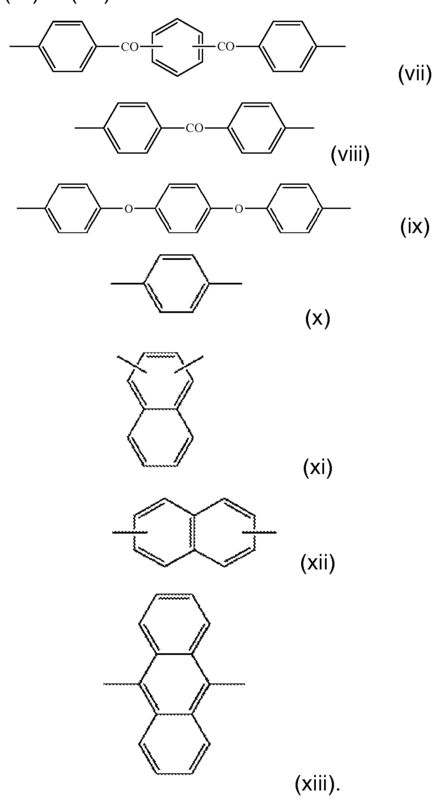 A and B are independently 0 or 1 .
polyetherketoneetherketoneketone, polyetheretherketoneketone, polyether- diphenyl-ether-ether-diphenyl-ether-phenyl-ketone-phenyl, or a blend or copolymer thereof. 29. The polymer composition of any of claims 1 -22, wherein the high performance polymer is a polyetherimide. y is an integer of from 1 to 5.
where Q is a divalent radical. 34. The polymer composition of any of the foregoing claims, further comprising a thermotropic liquid crystalline polymer. 35. The polymer composition of claim 34, wherein liquid crystalline polymers constitute from about 0.5 to about 50 parts relative to 100 parts by weight of high performance polymers in the composition. 36. The polymer composition of claim 34, wherein liquid crystalline polymers constitute from about 1 wt.% to about 40 wt.% of the polymer composition. 37. The polymer composition of any of the foregoing claims, wherein aromatic amide oligomers are employed in an amount of from about 0.5 to about 50 parts by weight relative to 100 parts by weight of high performance polymers in the composition. 38. The polymer composition of any of the foregoing claims, wherein aromatic amide oligomers constitute from about 0.1 wt.% to about 30 wt.% of the polymer composition. 39. The polymer composition of any of the foregoing claims, wherein high performance polymers constitute from about 70 wt.% to about 99.9 wt.% of the polymer composition. 40. The polymer composition of any of the foregoing claims, wherein the ratio of the melt viscosity of the polymer composition to the melt viscosity of the high performance polymer is about 0.98 or less. 41 . The polymer composition of any of the foregoing claims, wherein the melt viscosity of the polymer composition is from about 1 to about 165 Pa-s, as determined in accordance with ISO Test No. 1 1443 at a shear rate of 1000 s"1 and temperature of 370°C. 42. The polymer composition of any of the foregoing claims, wherein the melt viscosity of the polymer composition is from about 1 to about 400 Pa-s, as determined in accordance with ISO Test No. 1 1443 at a shear rate of 1000 s"1 and temperature of 350°C. 43. The polymer composition of any of the foregoing claims, wherein the ratio of the glass transition temperature of the polymer composition to the glass transition temperature of the high performance polymer is about 0.98 or less. 44. The polymer composition of any of the foregoing claims, wherein the glass transition temperature of the polymer composition is about 50°C or more. Xi and X2 are independently C(O)HN or NHC(O); and Ri and F¾ are independently selected from aryl, heteroaryl, cycloalkyl, and heterocyclyl. 47. A molded article comprising the polymer composition of any of the foregoing claims. AP200603534A0 (en) 2003-09-03 2006-04-30 Pfizer Phenyl or pyridyl amide compounds as prostaglandin E2 antagonists. 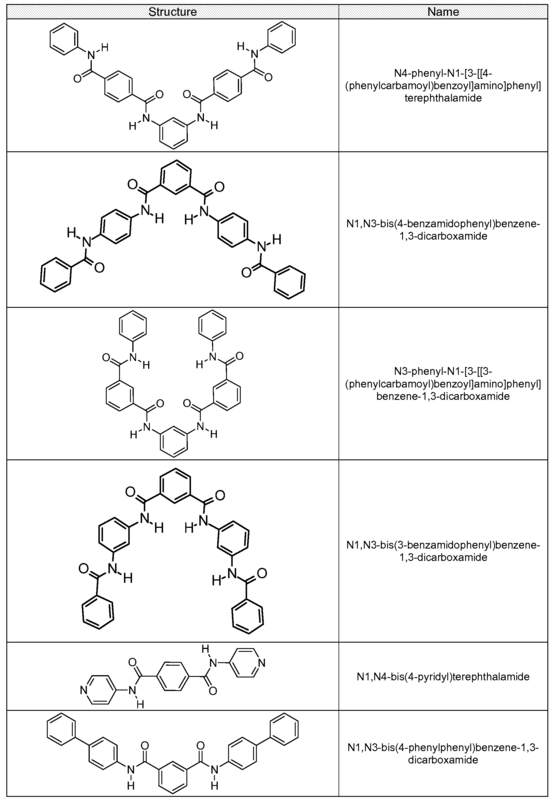 MXPA06011555A (en) 2004-05-04 2006-12-15 Pfizer Substituted methyl aryl or heteroaryl amide compounds.